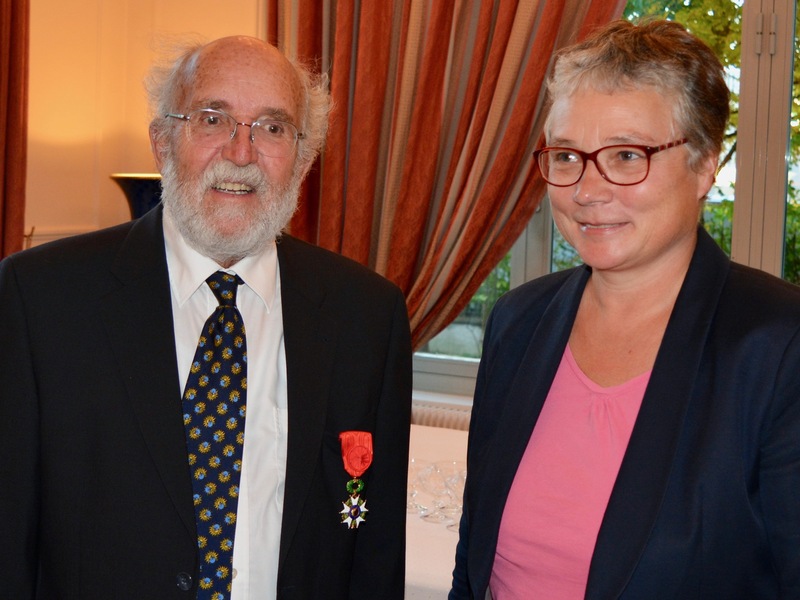 „Professor Michel Mayor, on behalf of the President of the Republic, I hereby appoint you Officer of the National Order of the Legion of Honour.“ With these words, the ambassador of France in Switzerland, Anne Paugam, presented the astrophysicist with a medal that she fastened to his jacket. With a big smile Michel Mayor thanked her and expressed his gratitude. 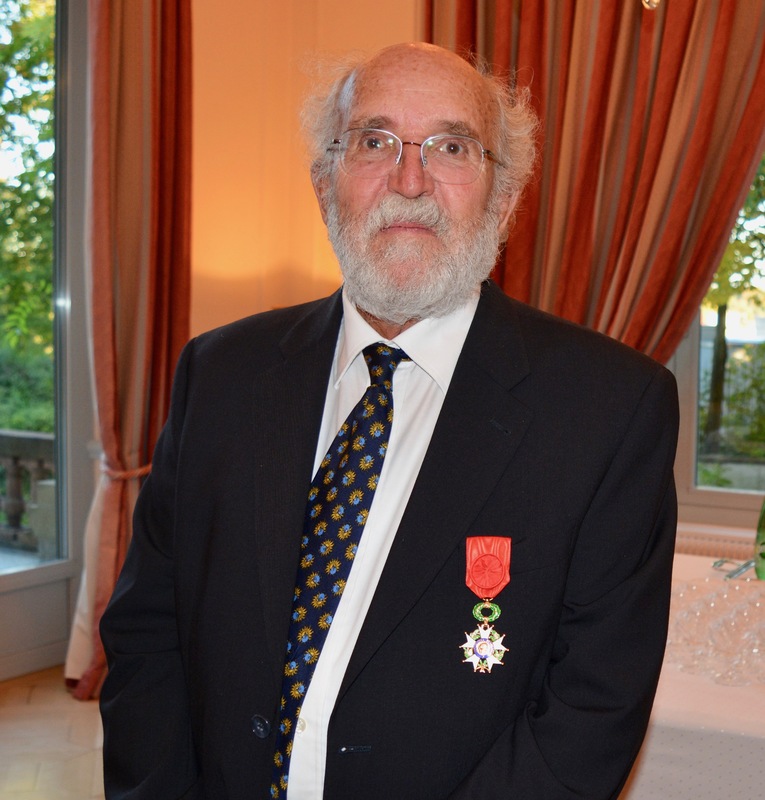 The ceremony that took place on 11 October 2017 in the French embassy in Bern was one of many honours that the renowned scientist has received so far, including that of Chevalier of the Legion of Honour in 2004. 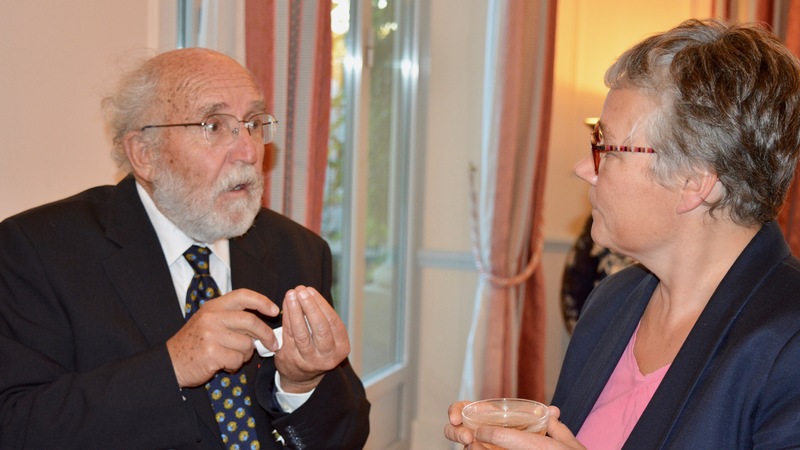 “Your outstanding contribution to science, here in Switzerland but also in France, deserves a renewed recognition, esteem and respect,“ the ambassador explained the new award. In her speech, she recalled the discovery of 51 Pegasi b in 1995 by Michel Mayor and his young PhD student Didier Queloz in the Haute-Provence Observatory in Southern France using the spectrograph named Elodie that Mayor had developed with the French specialist for optics, André Baranne. With the detection of the first exoplanet orbiting a star similar to our Sun, Michel Mayor also “invented a new discipline, exoplanetology, which never ceases to enrich itself with new discoveries,” as Anne Paugam said. He is the author or co-author of more than 400 scientific papers and has supervised more than twenty PhD students, the first of whom was Willy Benz, who is now professor at the University of Bern and director of the NCCR PlanetS. Lately, Michel Mayor has discovered a new talent: As avatar in the galactic video game “Eve Online” he instructs the players who are confronted with an unknown planetary system how to analyse light curves to see if the system contains planets, and if so, whether they are habitable. The data are real and if several players reach the same conclusion, the information is transmitted to the Observatory of the University of Geneva for further research – “another project, in which you open the gate to the universe,” the ambassador summarized in her laudatory speech. 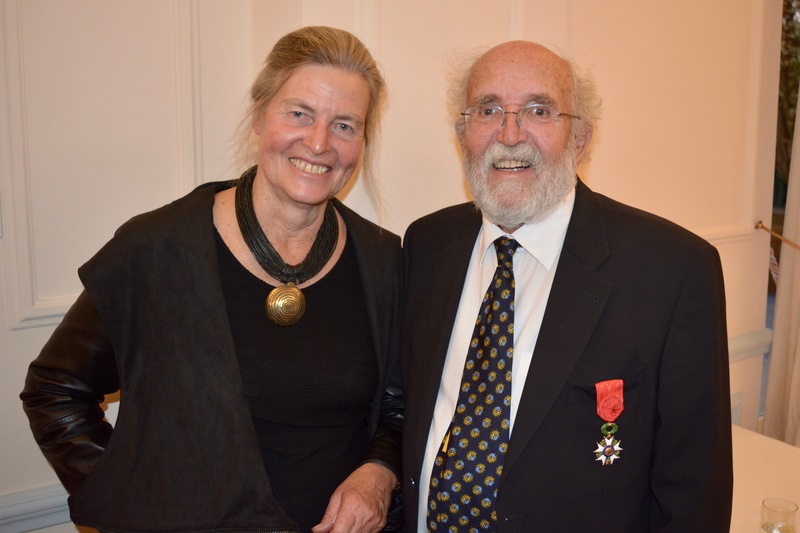 Michel Mayor and Anne Paugam, ambassador of France in Switzerland. Discussing about the universe: Michel Mayor and Anne Paugam. 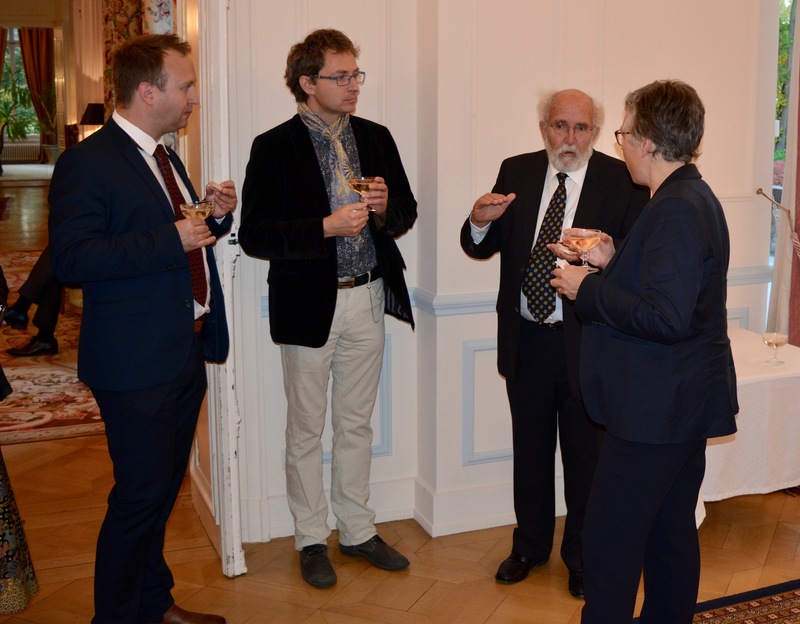 Christoph Mordasini, François Bouchy, Michel Mayor, Anne Paugam (f.l.t.r. ).